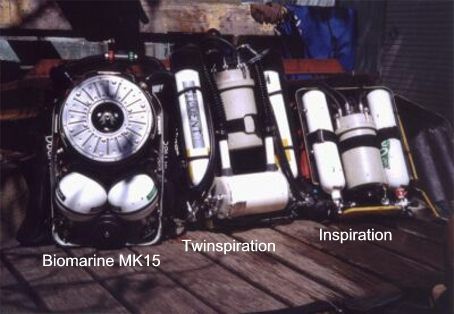 This Twinspiration, its worth it to say I would not dive with just one handset, the vr3 is back-up on the primary loop. As yet the second loop has no electronics. 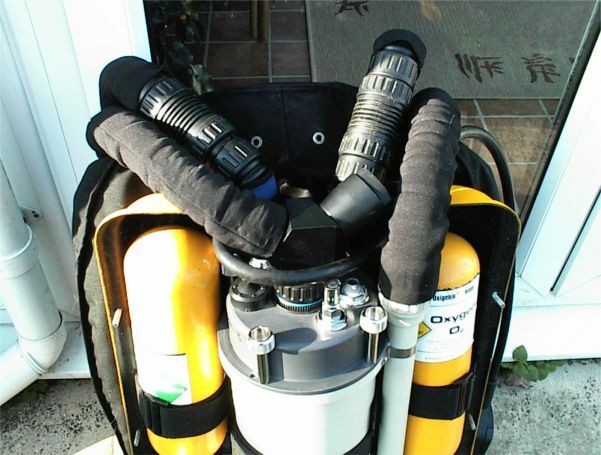 swimming pool testing was done by running the second loop as an o2 rb. 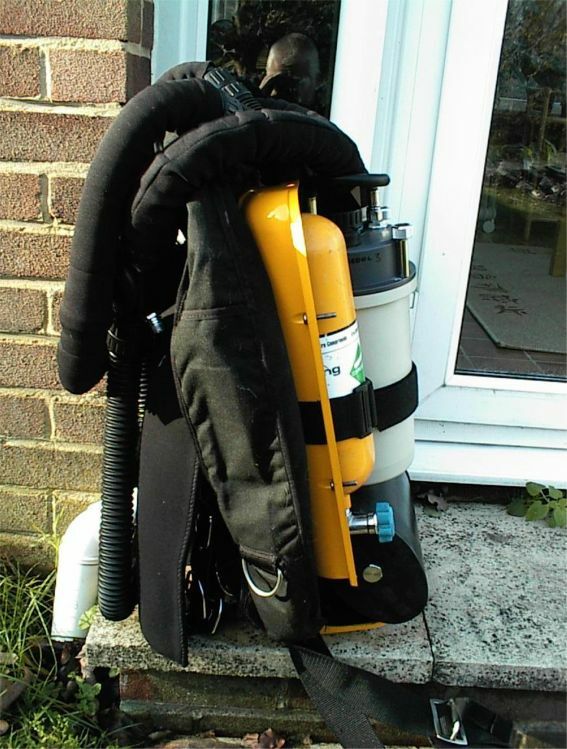 Therefore this rig is not ready to dive with and is just an experimental model! 2 Sets of T-pieces, one front (original location) and one set on the modified wing. Here we have a better view on what Dave did. He filled his wing with two counterlungs and mounted two T-pieces. The second pair of hoses are located behind the original scrubber in the direction of the Dolphin scrubber. On the top of the modified lid you see Bob's fourth cell holder, a possible link to a VR3 or other measuring device. 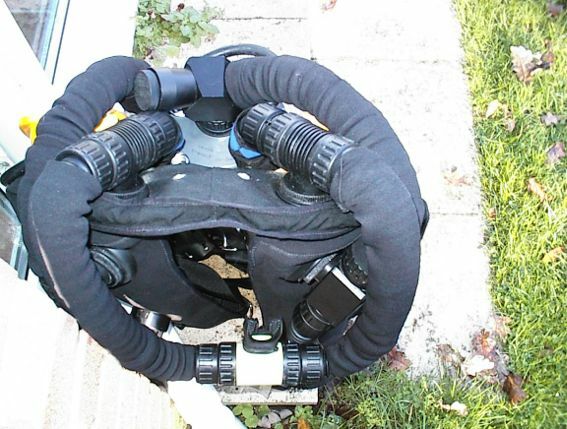 In case of the newer hammerhead lid it could even be equipped with 5 cells, 4 in the lid and one extra cell in the external holder. Here is the rear view. It has to be said that the rig looks very cool. 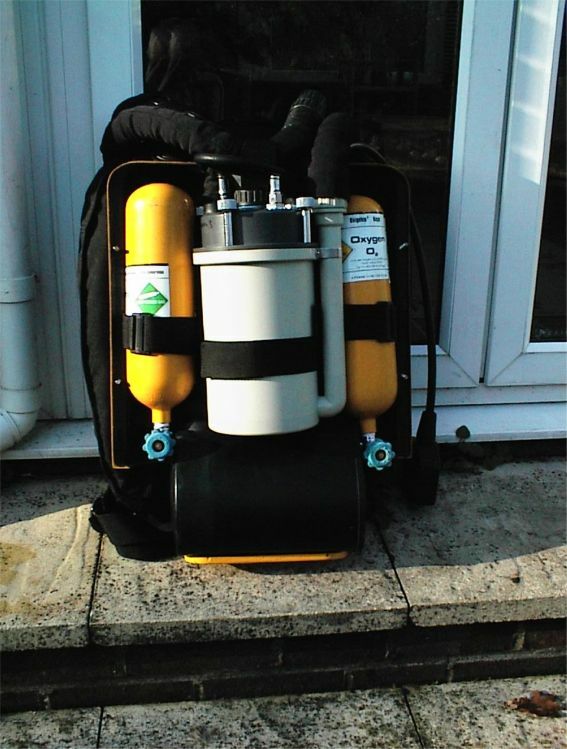 Although Dave is in the progress of this design, he would only use it when completed. Things who are still to change are: Bigger housing for 2 x 5 liter cylinders. 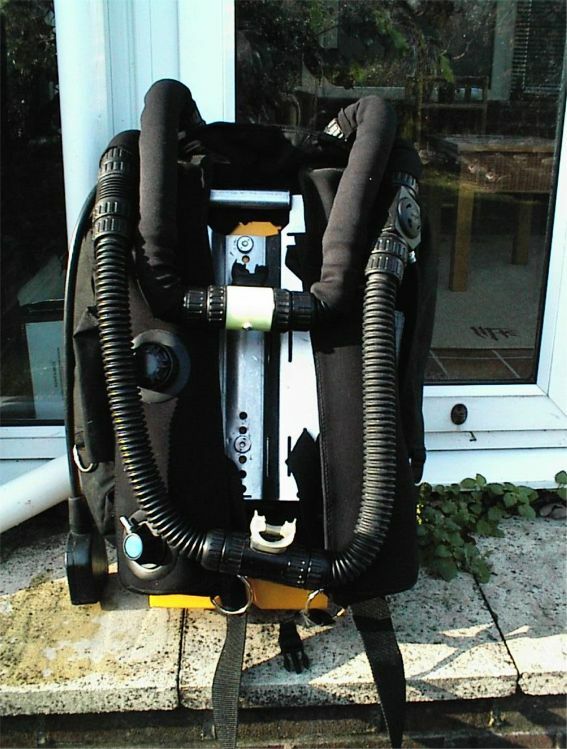 Hammerhead lid for the primary Rebreather, and original Inspiration lid for the redundant rebreather. Extra connection to VR3 for real time decompression.